A. V. STOESSER, M.D. ; M. M. COOK, M.D. 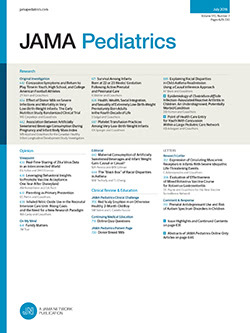 Several years ago one of us (A. V. S.) observed the advantageous effect of the ingestion of large amounts of dextrose in children with bronchial asthma.1 About the same time McQuarrie, Thompson and Anderson2 called attention to the favorable influence of diets high in salt on the carbohydrate metabolism of diabetic children. The question then arose as to whether the ingestion of large amounts of sodium chloride would affect the benefits derived from the high carbohydrate diet in asthmatic children. The first few trials with a diet high in salt produced in each instance a definite increase in the asthmatic symptoms. Lowering the salt decreased the asthmatic symptoms, and this effect was enhanced by either short periods of artificial fever or the ingestion of potassium chloride.3 These observations led to an investigation of the electrolyte metabolism in children with bronchial asthma.